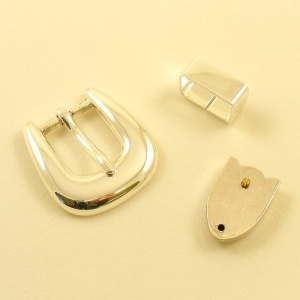 This is a high quality cast steel buckle set, plated with sterling silver and made to fit a strap width of 1" (25mm). 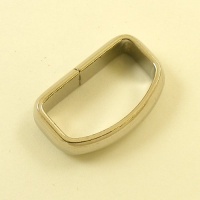 The set comprises a buckle, belt loop and belt tip. 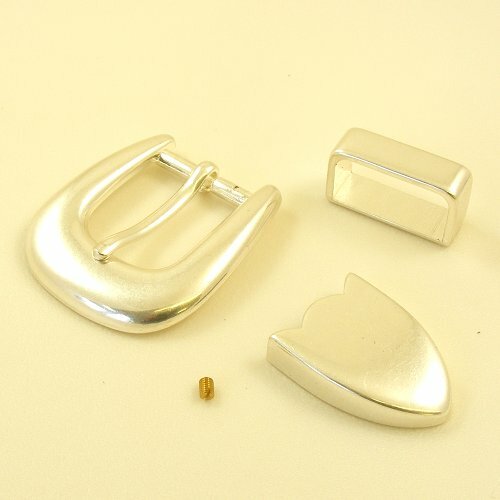 *Please note that the belt tip is attached with 1 tiny screw, which is supplied with the set. You will need a very small straight headed screw driver to fit this.